The last year went unbelievable fast. I've the impression, the older I get, the faster the world goes! Just as last year I took a moment to look back at some of my highlights. 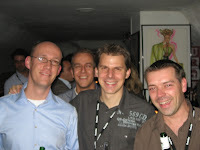 January: I started helping Ordina to build up an Oracle team. I'm pleased with the result; 15 new people came on board, we worked for some new customers and did some nice projects. February: Oracle Application Express 3.0 was released. I believe this was a big step in the current success of APEX. March 14: the Apex Evangelists website went live. 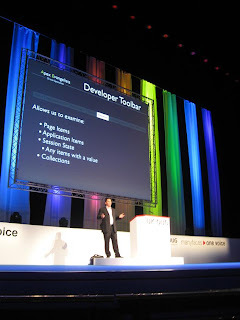 The idea started in October 2006 and after a couple of months of brainstorming and sorting things out, John Scott and I announced a company focusing only on Oracle Application Express. April 2: I had a first discussion about APEX "against/next to" JDeveloper/ADF. 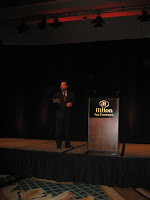 April 19: I gave my first APEX presentation in the States during Collaborate '07 in Las Vegas. A few days before I also sat in the APEX panel and organized the APEX Meet-Up. June: my second ODTUG, in Daytona Beach. During that event I did an APEX presentation, the APEX Meetup and a Podcast with Lewis Cunningham. 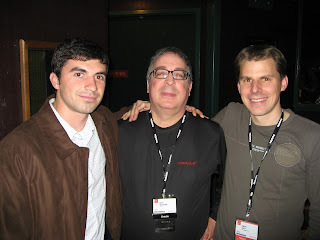 I also met the Oracle APEX Development team again and I met Patrick Wolf for the first time in real-life. August 7: first Apex Evangelists onsite Oracle Application Express Training together with John Scott. September 30th: first time "away" with Matthias for a dinner with Steven Feuerstein. November: my second Oracle Open World. 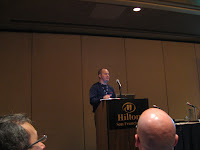 I also did an APEX presentation at OOW and organized the Apex Meetup and Apex Roundtable. 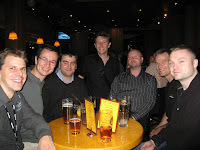 December 5: my first UKOUG where I flew in, did an APEX presentation and Roundtable on the same day and had some great food with some nice friends. December 17: presenting together with Lucas Jellema in the Netherlands: "APEX vs ADF"
It has been an amazing year! If I look at my post Flashforward 2007 I'm happy I could meet my "goals". I think I promoted Oracle and APEX even more by building up Apex Evangelists and an Oracle team and doing presentations at several events. I definitely explored new sides of myself by doing these presentations and trying to launch several projects. In my private life, I got a nice little baby, which is an awesome experience. I didn't find an house, but we bought some land to build one. For 2008 I hope my family stays healthy and we may enjoy life even more as before. If I'm allowed to ask for more, in private life; it would be nice if I find the time to also be with my family and we could start with the building of our new house. On professional life; I hope we can let Apex Evangelists grow in 2008, promote APEX even more, give good APEX support to our customers, develop some outstanding software and do some nice projects. My last lines of my blog post of 2007 is for all of you! Thank you so much for reading my blog, giving comments and feedback and for meeting you at several events. Two weeks ago I got my new MacBook Pro. For a long time I had to hear from certain people how much better Mac was... Finally I yielded and bought one! For the techies... my configuration looks like this: MacBook Pro 15.4'', 2.4 GHz Intel Core 2 Duo, 4 GB of memory, GeForce 8600M GT 256 MB graphics card, 200 GB (7200 rpm) harddisk. In the beginning I had to get used to this new machine, but after a week I was impressed by this jewel. The Leopard operating system is really impressive! The features I like most at the moment: Visual Look and Feel, Easy of installation of software, Expose, Spaces and Screen Sharing! I'm using this Mac for everything now... from reading my mails or surfing the internet to APEX development and giving presentations and training. For ex while I'm developing I open a tunnel to the AE servers and use SQL Developer to work on the application back-end (database stuff). In my browser I do the APEX development and when I want to discuss some things with John Scott for ex. 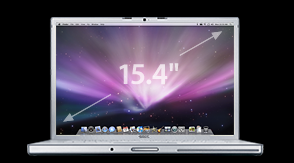 (who has also a Mac ;-)) we just do Screen sharing (through iChat) and I see his screen or he sees my screen. Very useful!! Giving presentations with Keynote is still something I need to get used to. I prepared the presentation of Monday (APEX vs ADF) on my Mac in Keynote. But when I arrived in the Netherlands I saw the connection to the beamer isn't straight forward with a Mac! Of course I didn't take the screen converter plug with me, so I ended up doing my presentation with my Dell laptop. Luckily Keynote could export to pdf and powerpoint. So I expect my first public "performance" with my MacBook Pro will be during the European Apex Training Days in March in London. But I'm already well prepared ;-) The VM I had with Oracle Linux, Oracle DB 11g, APEX and BI Publisher Server was still working in this version of VM Ware (in Mac it's called VM Ware Fusion instead of VM Ware Workstation). Another VM I have is one with Windows 2003, Office 2003 and BI Publisher Desktop. So my demos will be a browser and SQL Developer in OSX, my Oracle Linux VM for my database and my Oracle Windows 2003 VM to show the BIP Desktop features. This is all working very smoothly! Unbelievable, really! Also... If you plugin some other hardware (like external hard disk, mouse etc.) it works immediate! No pain of drivers, it just works! As announced before, on Monday I did a presentation together with Lucas Jellema about the differences in APEX and ADF. On the right you see the picture I used on the first slide. You don't know? 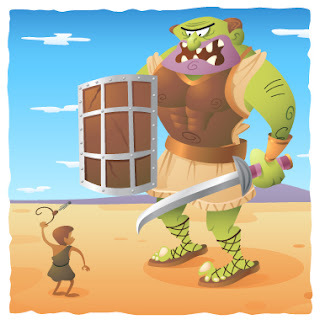 Does David (APEX) and Goliath (ADF) rings a bell? Michiel Jonkers was the host and he welcomed everybody, prepared the audience for the evening and introduced both Lucas and myself. Then I started with an Introduction about Oracle Application Express (about 30 mins). Where did it come from? How does the architecture look like? And why should you use APEX? Then it was time for Lucas to do the same for ADF. During the preparation we discussed how we would do it and finally decided to start from the same ERD and try to create a survey application in 6 hours. We would see how much we could do in that amount of time. I was impressed with what Lucas did in that amount of time in ADF (and JSF). A few years ago I worked with BC4J, so I knew a little bit of it, but I must say they let the product evolve largely. So we both demonstrated our application and explained how we did it. You can see the application I made here. The presentation (with in it the break down of the time used to create the application) you find here. After the break, with some great food, we both explained how you can start with both products and showed how to create an application. At the end we had the Q&A. 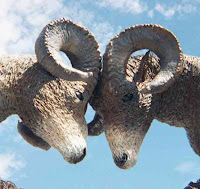 Some questions are always coming back: "When shouldn't you use APEX/ADF? ", "Does APEX also work for large applications? ", "What about Business Logic" etc. I had a great time! If you were there I hope you enjoyed it as much as I did. PS/ Some others blogged about it too... Douwe Pieter van den Bos here and Marco Gralike here. If I missed yours, feel free to add a link in the comments. I believe Michiel Jonkers is also going to blog about it. A few days ago we released our agenda to the people coming to the AE European Oracle Application Express Training Days. This training will be held in London in March 18th-20th 2008. It's not a beginners training, more an advanced one, although "advanced" is difficult to measure. There are still a few places left, so if you have been looking for some Advanced APEX training by some of the most passionate APEX people around then sign up quickly as places are limited. Just got a mail that it's the last day to submit your presentation for the Kaleidoscope 2008 conference of ODTUG. 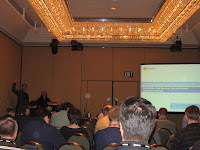 The first session I was in was about APEX Security by Peter Lorenzen. He did a nice job, it's definitely an area people are interested in. I would have shown more demo's, but the downside then is that you can't cover the amount of content Peter covered now. Next on my agenda was the famous talk by Steven Feuerstein about PLSQL Best Practices. Although I already saw the presentation, I like to listen to Steven. 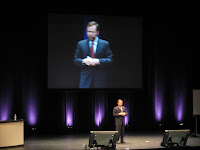 The way he presents and the content are so good and I learn by repetition ;-) For ex. playing the SET game during his presentation was really fun. In the evening John showed me a part of Leeds and we had some nice Indian food. Wednesday morning I arrived in Birmingham. The weather wasn't great, dark clouds and rain. I went to the hotel, the Jury's Inn, but couldn't check in until 2pm, so I headed to the ICC buildings where the UKOUG conference was being held. Luckily it wasn't to far from the hotel, only a 5 min walk. The building was quiet impressive: lots of glass and big. I registered as a speaker and went to my first session, which I was a session chair for, which means I had to introduce the speaker. The speaker was John Scott, does that ring a bell? When I entered the room John would present in, I was amazed and tumbled! Unbelievable! What a big and nice room! John asked me to keep my introduction short as he had a lot to talk about. 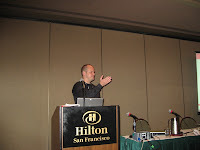 At OOW he did the same presentation but got 90 minutes, now he had only 60... A challenge! Right after John's presentation I had to participate in the APEX Roundtable. Jeremy Duggan was the host and in the panel we had Anthony Rainer, Peter Lorenzen and myself. John Scott was in the audience but answered also a lot of questions, so although it wasn't on the schedule, you can state John was in the panel too. Then I went for lunch, I was really hungry as I had only eaten in the early morning before I left and it was already 2pm (in Belgium time that's even 3pm). 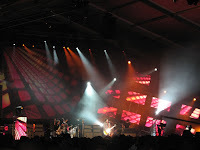 The catering and logistic could have been better I think, especially when I compare it to OOW, ODTUG or the IOUG events. In the afternoon I walked a bit around and finally sat down to prepare for my presentation. I had to do the last presentation of the day, before the keynote. As I thought the people started to become tired I tried to make it as digestible as possible. I talked about the integration of BI Publisher and APEX. The more I do this presentation the more I try to put in things of BI Publisher. For ex. Conditional formatting, multiple datasets, ppt output... next time I might talk about the Scheduler and passing parameters to BIP reports. 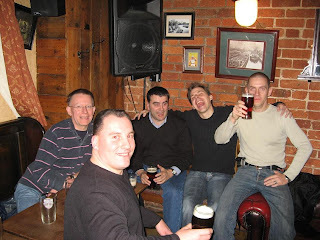 In the evening John Scott , Peter Scott, Borkur Steingrimsson, Mark Rittman and myself went to a pub. 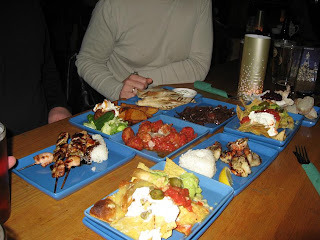 We had some excellent tapas and some beers. They are all really nice guys, we had good talks and laughs! Later that evening we went to another pub, it's the unofficial Oaktable pub I heard later, and it must be said that the more famous Oracle people (bloggers) were in that bar. For ex. 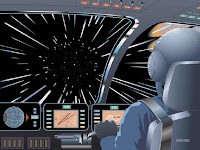 I talked to Marco Gralike, Lisa Dobson, Kurt Van Meerbeeck, Doug Burns, Mark Bobak, ... The later the evening the more tired I got, so at 11.30pm I went back to the hotel to get some sleep. After too little sleep I left to Birmingham. I forgot my camera cable, so I can't show any pictures before Saturday. I just finished the roundtable and I'm waiting to get in my room for my presentation, which starts in 30 minutes. In the evening I'll probably go for a beer and an early sleep. I'll post again in the weekend with pictures, in the meanwhile you my read John Scott's blog or Mark Rittman or Doug Burns or a lot others. After my post about the integration of APEX and BI Publisher I got some questions about further integration. Also during my presentation "Advanced PDF documents from Oracle Application Express using Oracle Business Intelligence Publisher" at Oracle Open World I got some questions about security. 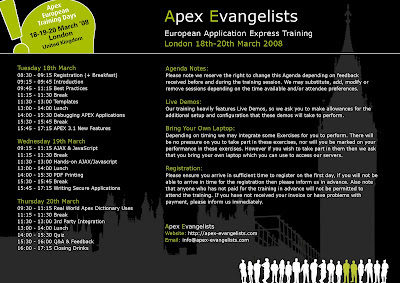 If you didn't see my presentation yet, you can download it here or you can see me presenting this week at UKOUG or in London in March 2008 during the European APEX Training Days. When Daniel sent me a mail about his thread in the Application Express Forum I decided to post some more about BIP and APEX integration. Why do we want to do this as APEX is providing PDF printing out-of-the-box? 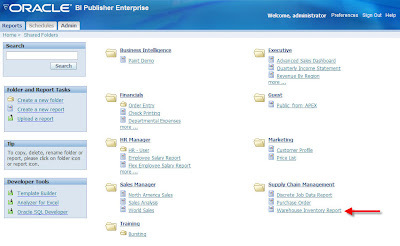 The answer is that APEX is limited in printing and BI Publisher is specialized in this area. In a next version of APEX (3.1 and 4.0) the printing is enhanced, but today that's not yet the case. 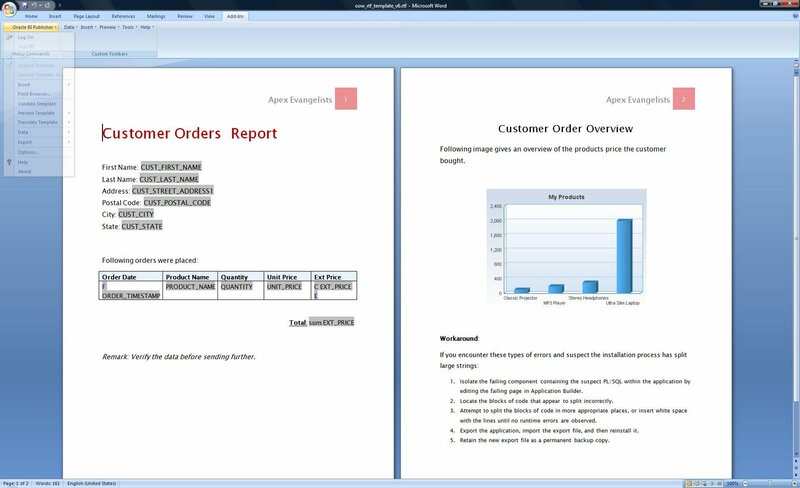 If you want to include multiple queries in your APEX report or print/export it as a ppt for ex. 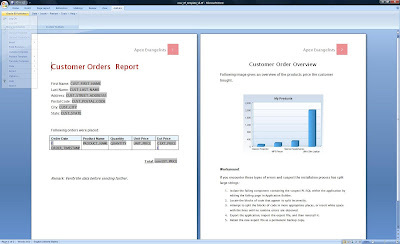 or even just fax a report, APEX doesn't provide this functionality declarative, but BI Publisher (BIP) does. I suppose you know how to create a report in BIP, so I won't go into detail about that. In a previous post I already explained how you can install BIP (for Windows and Linux) and link it to APEX, so that's something you won't find here. 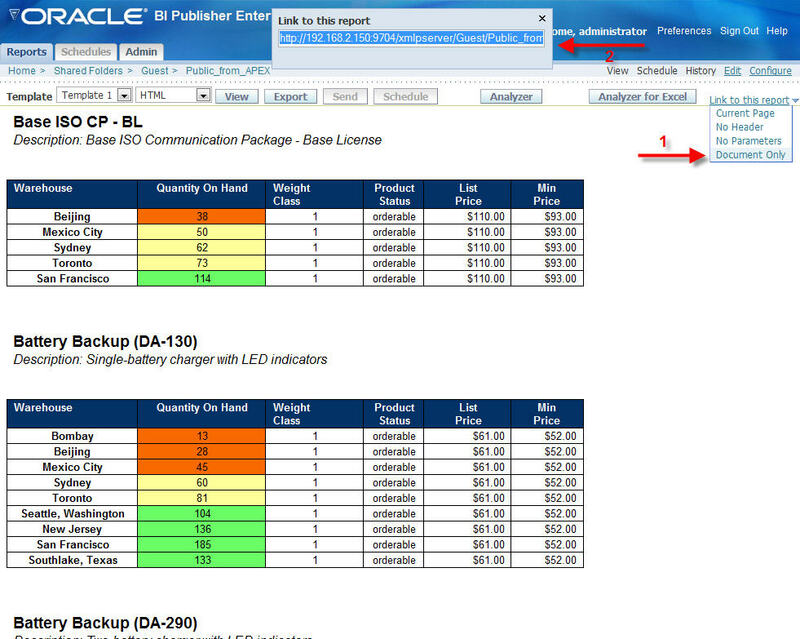 If you don't have a BIP report yet, you find some example/demo reports when logging in into BI Publisher (for ex. an url like: http://your-server:9704/xmlpserver). There're some different Security Models available to you (LDAP, BIP, DB). If you would use Single Sign-On, your live would be quiet simple as you don't have to do anything. But in this article I'm concentrating on the standard BI Publisher security. To solve my logon issue, I'm making my reports public. In BIP this is called a "Guest". In the Security Center of BIP I name my "Guest folder" (or public folder). I'll need to create that Guest folder which will hold all the reports I'm calling from APEX. Go to Reports > Shared Folders and create a new Folder "Guest". In that folder I created a new report (a copy of the example I showed above). When you call that report by clicking on it, you'll see the result. You can adapt it to see it in a different output format. Then the most important part... Click on "Link to this report" and select" Document Only". A new window will pop-up on the same page with the link to the report. Now we'll use that url in our button in APEX. 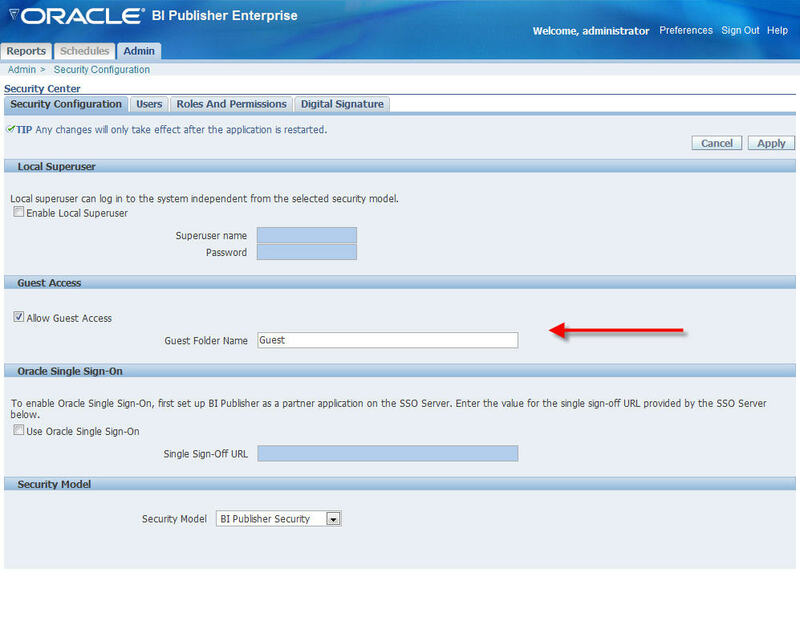 Create a new button and as Target select "Url" and copy the url you got from BIP in the "URL Target" field. As I blogged a few days ago, I created a VM with my Oracle soft. 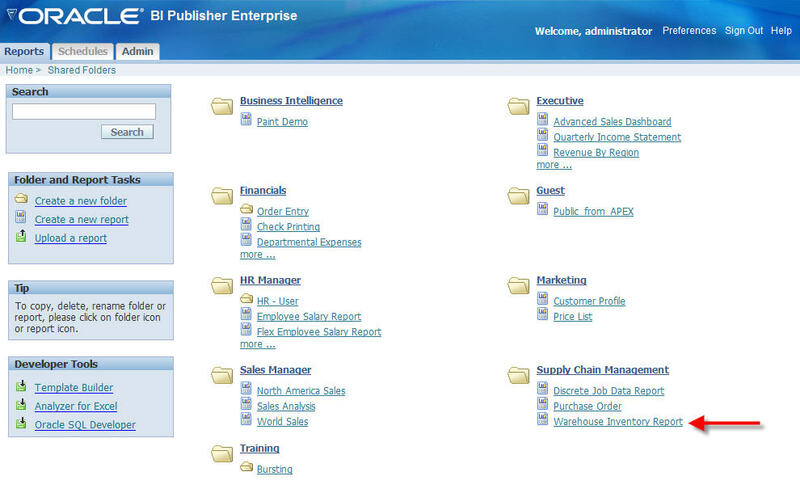 Now I'm extending my demo system with BI Publisher. 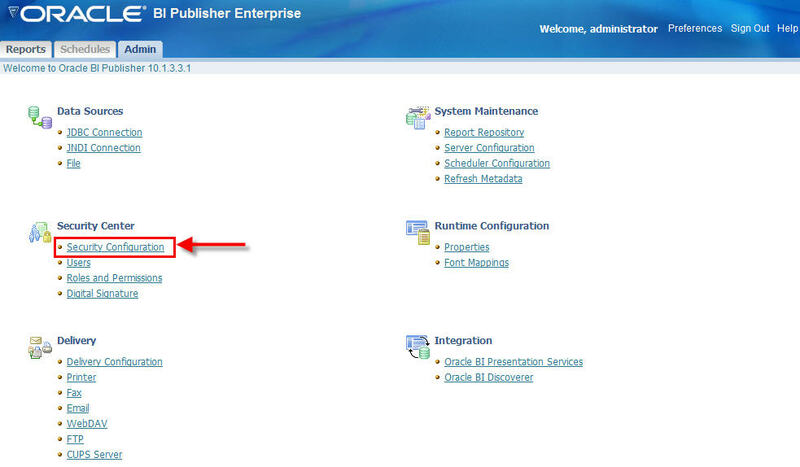 So far, so good, wasn't it I also need Oracle BI Publisher Desktop, and that runs on Windows. I could have gone for another VM for only that, which would be the most secure thing as it would be a "fixed" working environment (without the windows updates etc.). Nevertheless, I didn't do that, as my systems RAM is going bananas! Windows Vista is already eating 1GB of my RAM, the other 1GB I use for my VMware. So no room left for another VM with Windows. As I'm giving a presentation at OOW and UKOUG about the integration of APEX and BI Publisher and creating some advanced pdf's, next thing for me to do ... install BIP! 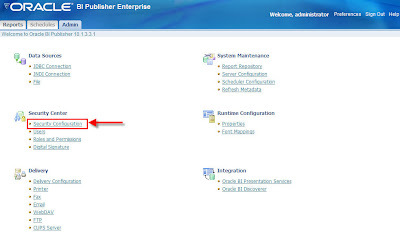 When I'm talking about Oracle Business Intelligence Publisher (BIP), I'm talking about a server part, in my case BI Publisher 10.1.3.3.1 for Linux and a client part, BI Publisher Desktop 10.1.3.3.1 for Windows. After downloading BIP for Linux, I read the manual. There're not that many pre-requisites, so I started with "./runInstaller". What followed was a nice java error thrown by the OUI (Oracle Universal Installer). When you think you've all needed libraries installed, there's for an odd reason always one more! In my case I had to install the libXp-1.0.0-8.i386.rpm package to get the installation of BIP running. 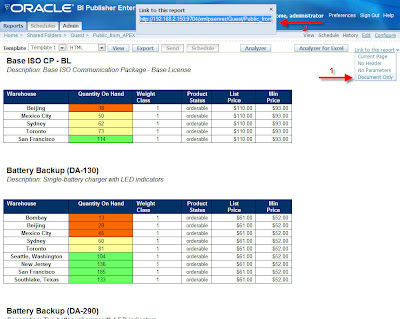 To configure your APEX with BI Publisher you may want to read my previous blog post. Be sure you did all pre and post installations for your DB and BIP. 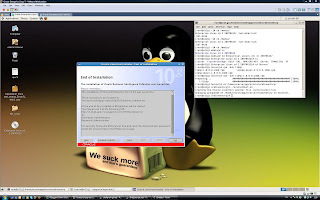 You may want to read this before installing BIP Desktop on Vista. I went for all default settings. I would normally leave on Sunday for the UKOUG of next week, but at the last moment I had to change plans. I'll arrive instead on Wednesday morning in Birmingham, just in time to prepare for the APEX Roundtable of 12.25pm in Hall 1 Foyer Level 5. I look forward doing the roundtable with Anthony Rayner and Jeremy Duggan (this time I'm in the panel). 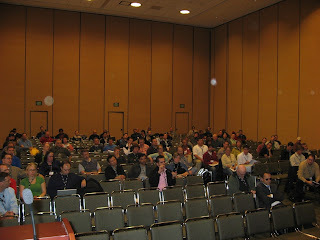 I wonder if this roundtable will be different from the one at the other events in the VS (OOW, ODTUG, IOUG). I'm also giving a presentation about the integration of Oracle Application Express and BI Publisher on Wednesday at 4.35pm. This is the same presentation I did at Oracle Open World. 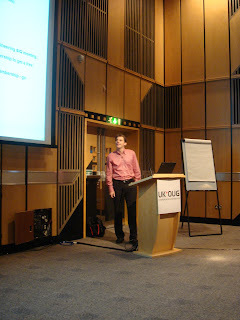 There're a lot more APEX sessions at the UKOUG, John Scott gives an overview here. John and I are also organizing another APEX Meetup on Wednesday at 7pm. The venue still need to be decided. If you know some good places, shoot! I don't know that much in Birmingham. So, if you want to have some drinks with other APEX users, feel free to join us! See you in the UK! I realized I didn't blog about Steven Feuerstein's new website yet. 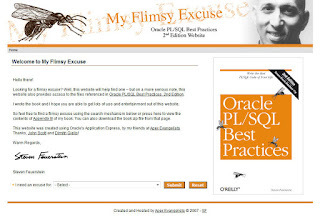 The myflimsyexcuse.com website was announced on Oracle Open World together with his new book "Oracle PL/SQL Best Practices 2nd Edition". 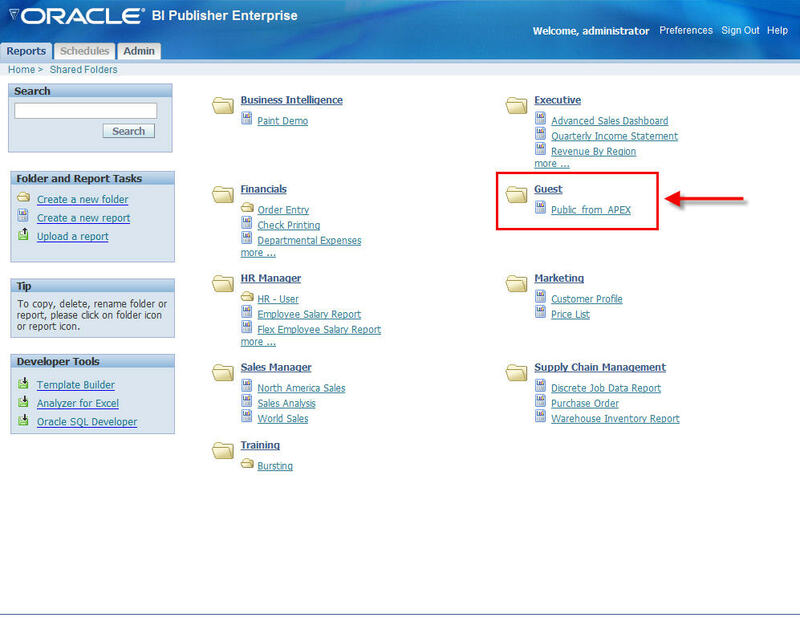 The website is completely build in Oracle Application Express (of course!). It's a fairly simple website; there's a front end, which you see when going to the myflimsyexcuse.com url. You'll see two pages; one where Steven gives you some nice excuses and the second page to download some addition things from his book. There's also a back end, which allows Steven to manage his excuses. I suppose I don't need to say this is one of the best PL/SQL books out there? A few months ago I also had some mail exchange with Chris Muir about what I thought are the strengths of APEX, and he about ADF. Normally an article should be made available soon. There were some other people also involved in this discussion, the final outcome is managed by Chris. Next on the agenda... a live confrontation between the two technologies! Michiel Jonckers of AMIS Technology (he was one of our students at our European APEX Training Days) contacted me with the question if I was interested to go on stage together with Lucas Jellema, a known "ADF lover" and a recognized Oracle speaker, to discuss the weakness and strengths of both technologies. I happily accepted, of course! The date and place: Monday, December 17th from 16:30 till 21:00 in Nieuwegein (NL). If you want to see the fight between APEX and ADF, register here. As some others already blogged... APEX 3.1 beta is public now. If you've seen the demos of the "Interactive Report Regions" you know they are worth trying ;-) You can see here an interactive report on top of the Emp table! The Oracle Application Express Team is pleased to announce the debut of our 3.1 release for public evaluation. To access our hosted instance, please register. If you have participated in a previous evaluation, you will bypass the short survey. After registering, you will be provided with access to the evaluation instance from which new accounts can be requested. You will need to request a workspace and then wait on the email notification. The new feature that we would really like feedback on is our new region type - Interactive Report. 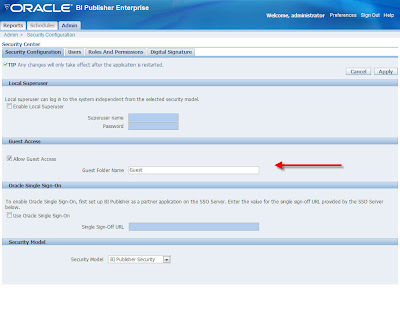 This is a new SQL query based region type that lets end-users customize which columns they see as well as column order. End users can also, sort, filter, break, sum, highlight, and add computed columns using simple pull down menus. Please remember, the success of this Application Express 3.1 evaluation depends on user feedback. All participants are strongly encouraged to provide feedback using the feedback application. The link is also available from within the hosted Application Express 3.1 evaluation instance Home page. After a long sleep Patrick Wolf, John Scott, Carl Backstrom and myself went for breakfast. It would be our last breakfast together. Patrick was leaving at noon, Carl in the evening and John and I on Saturday. Carl lived in San Francisco a few years ago, so he knew the city. He showed us some nice places and had some nice stories about statues and buildings. In the afternoon John and I went for some shopping and had a lovely dessert in the Cheesecake Factory at the top floor at Macy's. Also a recommendation to go there not only for the famous cheesecake but also for the nice view. In the evening I finished my blog posts and had a last drink in the bar of the hotel. Now it's time to go home. The thought I'll see my family again will help me to survive the long flight. The week went very fast... as the days passed by I became more tired. Good it's the last day (Thursday). After breakfast I went back to my room to go once more over my presentation, making sure my pc was still alive and the demos worked. Then it was time for my presentation: "Advanced PDF documents from Oracle Application Express using Oracle Business Intelligence Publisher". I didn't like the schedule... I not only had to present on the last day, my presentation was also the same time John had his (APEX) presentation! Normally we follow each others presentation, take some pictures and support each other. This time Apex Evangelists went head to head! We both asked if they could change the schedule, but they didn't. It's a pity as a lot of people told me they didn't like to have to make a choice between two APEX presentations as they preferred to see both of our presentations. John was talking about "Delivering pages in 3 seconds or less", mine was about PDF printing. Of course the people being in my session made the right decision. Did you ever hear somebody getting a raise because his page loads in 0.8 seconds instead of 0.9 seconds? Who notice that? ;-) Instead printing a nice PDF with some nice graphics to show your boss... I'm sure he'll be pleased! Oracle gave me a very big room (capacity of about 500 people). I really liked the room, but it would be a bit too big, especially when two APEX presentations were going on the same time. I think about 60 people followed my presentation. One part of the audience were more into BI, where the other part were all into APEX. 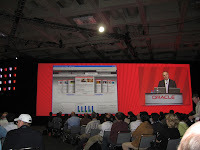 It's a pity there are no evaluation forms at OOW as I would love to know what people really thought about the presentation. Afterwards some people came to me to say they liked the presentation, which I really appreciated. In such a big room it's difficult to "feel" the audience. It's always difficult to pitch the content. Is it too basic? Is it too advanced? 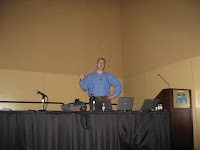 If you were in my session, feel free to put a comment what you thought about it or how I can improve the presentation. After my presentation I was really hungry and needed a drink. 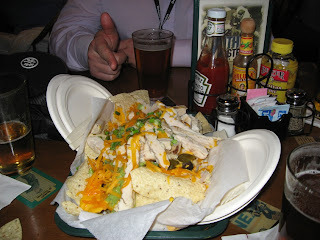 Last year I had Nacho's and I really wanted to taste that again. 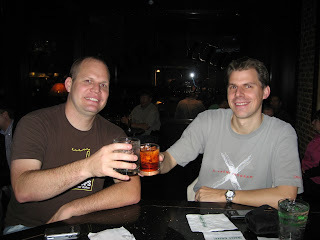 So John and I went to the same bar we held the APEX Meetup last year (and this year). 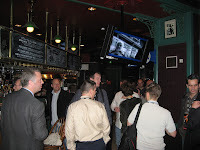 In the bar we saw Doug Burns and Chris Muir and joined them. A bit later other Oracle bloggers joined us. 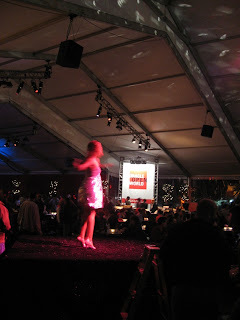 Afterwards we went to the OOW Wrap-Up, basically the last closing party of Oracle Open World. We had some more drinks and food. Doug, Tim, Chris walked to the Irish pub close to the Hilton hotel, but as I was so tired and wanted to drop my bag (with my laptop) I took the bus to my hotel and would join them later. In my room I dropped my bag and wanted to quickly check my mail, but I literally "crashed". I fell a sleep and before I knew a few hours passed by. Sorry guys I didn't make it to the Irish pub anymore! 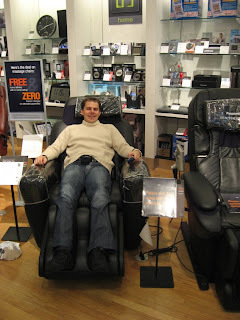 I enjoyed Oracle Open World a lot but it was also very tiring. After a good night, my first session of the day (Wednesday) was "Consolidate Your Third-Party Databases with Oracle Database 11g, Using Oracle's New Migration Tools" by Barry McGillin of Oracle. This session was about the new features of SQL Developer for accessing other databases like MS Access, MySQL and SQL Server and migrating them to Oracle. SQL Developer now has almost everything what the Migration Workbench had before. Barry showed how a migration works and what we can expect in the future for ex. support for Sybase. At noon there was the big keynote with Michael Dell and Larry Ellison. I thought there would be a big announcement, but no... earlier at OOW there was already the announcement of Oracle VM (Virtual Machine). Michael Dell showed some new nice products they released or are going to release, but some of the audience didn't like all that "Dell publicity". There was a nice "coming" product, sort of tablet pc with touchable screen like in an iPhone. In the afternoon I had a chat with some other people and then went back to the hotel to fresh up for the big party. The party is always impressive... San Francisco is colored in red, a lot of buses are going to Cow Palace, which Oracle booked for the "Appreciation Party". I'm not sure you know Cow Palace, but it's a *big* place. 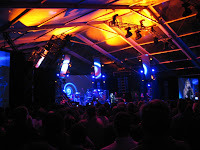 At the opening speech they said this party is the biggest company party in the world, which I'm happy to believe. 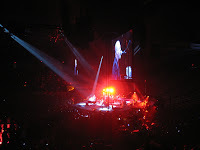 The "names" Oracle announced were again impressive: Billy Joel, Lenny Kravitz and Stevie Nicks! Billy, Lenny and Stevie were all playing at the same time, so I decided to start with Billy and after 30 minutes I left to have a look at Lenny, to finish with Stevie. I liked Billy Joel the most. He's a real entertainer! The food and drinks we got were good, but last year I found it better. There was no chocolate tower, which I really liked last year. At the end it was a nice night. Update: The last days the tiredness got over me, that's why my blog posts had a bit of a delay. On Tuesday John and I went for a coffee in the morning, I finished my blog post from Monday, read a bit the online newspapers and talk with the home front in Belgium. Apparently it's cold in my home country, only 5 degrees. Am I glad I'm in San Francisco where it's not really warm, but it's still a nice temperature (around 17°). Before noon I went to the Hilton hotel where most of the Oracle Develop sessions are held. Some people recognized me... It's sometimes scary (but nice) when you're sitting in the lobby and people say "Hi Dimitri, how are you doing?". After having a chat with them I went to Tom Kyte's keynote "How do you know what you know". His talk was about the changes in live... things (smart) people said a few years ago and where true at that moment, but aren't anymore. He had a series of nice examples that proved his statement. It's always nice to hear and see Tom speaking, so natural. It was also the first time I saw Tom with a beard! In the next session Carl Backstrom was talking about "Advanced Oracle Application Express: Building Web 2.0 Applications". It was his first presentation on such a big event and he did well. He's working with Ubuntu linux and had some problems to get his laptop working with the projector and finally had to use another laptop. He couldn't do all demos, that's why he decided to do his talk again on the next day in the Unconference zone. It's nice to directly hear the person speaking who actually build a lot of the AJAX/web 2.0 things in APEX. He talked about debugging, the APEX api's and some of the new features of APEX 3.1. I'm not going to list everything in detail in this blog post as Carl will make a video/viewlet about his presentation and put it on his blog. After lunch I did the hands-on lab "Advanced PDF Printing" by Marc Sewtz and Marco Adelfio of the APEX development team. I already knew this material, but I wanted to see what the people had to do as my talk on Thursday was in the same area (integration of APEX and BI Publisher). The hands-on you can download from OTN here. Stand-by database: improvements in logical and physical standby databases. 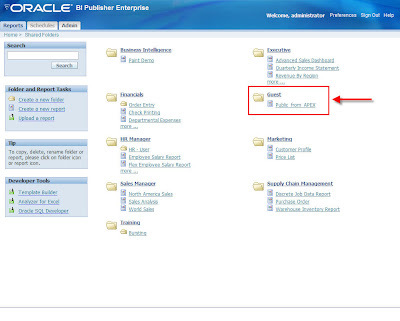 Flashback Data Archive (Oracle Total Recall): see here. Afterwards I went to the Exhibitions and demo grounds to look at the companies exposing their product and see some other Oracle products in action. In the linux boot I met Sergio Leunissen again. It was a long time I've seen him, so it was nice to have a talk with him. He's such a nice person. I also had a chat with some people of the BI Publisher development team. In the evening I had two parties: the "Benelux Cocktail Party" and the "Blogger Meetup". 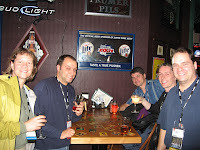 At the "Blogger Meetup" I met my Oracle blogger colleagues. It's always nice to meet the people whose blog you're reading. Just as last year it was again fun. Talking with Mark Rittman, Eddy Awad, Chris Muir, Laurent Snyder, Andrew Clark, Tim Hall... is always enriching. Thanks for the great night my friends! 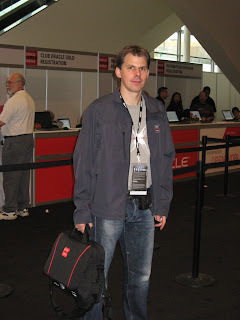 Carl Backstrom is doing his "Advanced Oracle APEX: Building Web 2.0" presentation again tomorrow (Wed, Nov 14) as part of the Unconference track. He had problems with his notebook today and couldn't show any of the demos he prepared during his scheduled presentation. But he really wants to show you all the "cool" things, so that's your chance to see the presentation again. The presentation will be held at Moscone West, 3rd floor, Overlook 2 (next to the OTN lounge) at 02:00 PM. I was awake quite early, so I thought to go downstairs to sit in the lobby, looking who would pass by. In the King George Hotel a lot other Oracle bloggers are staying, so I thought there might be a change of recognizing someone. Andrew Clarke (APC) and Wilfred van der Deijl were already in the lobby and a bit later Doug Burns joined us. I already met Andrew and Wilfred at previous events, but it was my first time to meet Doug. They are all such nice people to be with, they have so much Oracle knowledge and even more important they are some great personalities. Andrew, Doug and me went a bit later for breakfast where we had some great chats. Thanks guys! Really enjoyed it. My first session was "Creating Dynamite Applications That Deliver" from Kathy Hunsicker, Washington Mutual. This wasn't a technical session, but the experience of a Financial Institution started with Oracle Application Express. Kathy did well, in 30 mins she talked about the struggles they have with Excel and Access and their search for something else. Finally they chose for APEX. Where in the beginning they mainly used to replace the desktop tools, APEX became the development environment for the bank. She had a lot of questions afterwards (+30 mins) so there were a lot of people interested in what she was saying. After lunch we had a meeting with a customer and talked with Rich Niemec, Tim Hall and some other less "known" people. Time flies when you're talking so I missed some sessions I had in my schedule. I did see Brad Brown's Advanced APEX presentation in the "UnConference" space. That's something new from this Open World. There's a whiteboard and everybody can put a post-it note on it with a presentation they want to give. 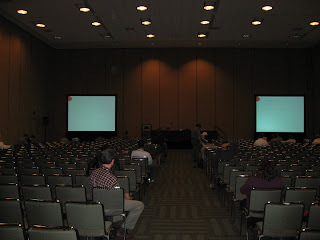 The presentations were not scheduled before, so this presentation wasn't that well attended. I already saw that presentation at a previous event, but it was good to catch up with Brad afterwards. At the APEX demo grounds I met Scott Spadafore for the first time. "He's the man!" some say, and I must confirm. Such a nice person, a great guy! Scott makes also part of the APEX development team. He's specialized in security and a frequent poster in the APEX forum. 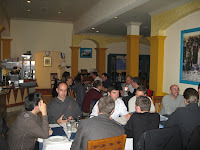 In the evening we had the APEX Meetup where we had around 30 people who joined us. 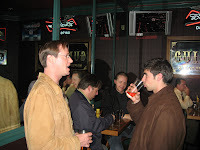 We had a couple of drinks in the Fourth Street Bar & Deli and would go to the OTN Night, when Mike Hitchwa invited us all for dinner (Thanks Mike!). It was a nice evening and good to meet other APEX lovers in a more relaxing environment. Below some pictures of the evening. The jetlag took over later that night, so I went to bed right after the Meetup. Sunday morning started great... My wife and I agreed some predefined times to talk to each other with a webcam and Sunday morning was such a time. As my son is only 7 weeks old, he can't say that much yet, so seeing him through the webcam was so nice, it really cheered me up. John and I arranged to meetup at 9.30 am to go to Moscone. Almost there, Dietmar Aust popped against us. 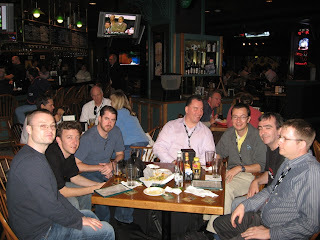 OOW is such a place you meet all the guys you know from the internet (blogs, forums, mails, ...). As I live in Belgium, John in the UK, Dietmar in Germany, Patrick in Austria, Carl in Las Vegas, ... it's nice to meet them in real life some times. 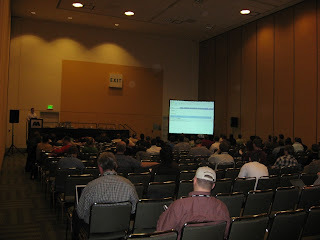 Sunday was also the starting day of the first sessions at Oracle Open World 2007. 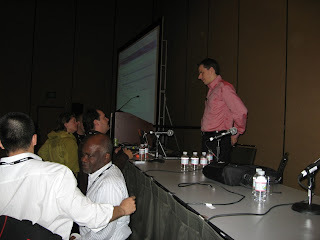 I had the privilege to do the first APEX session, which was the "Oracle Application Express Roundtable". I wasn't alone on stage, I was really pleased that the "Application Developers of the Years" 2005 till 2007 and some of the APEX Development team accepted to be in the panel. Tony Jedlenski: What’s your TOP coding technique? John Scott: What’s your TOP security feature? Patrick Wolf: What’s your TOP improvement? Carl Backstrom: What’s your TOP web 2.0 feature? David Peake: What’s the most impressive app? After quickly having some lunch I raised back for John Scott's session about "Debugging in APEX". He did a terriffic job as people after the training stept up to him to congratulate. John explained some different possibilities you can use for debugging. The natural things most of the Apex Developers are using like the developer toolbar or the debug mode of your page... But did you know you can debug your APEX application with SQL Developer? John showed from all possibilities a nice demo. I think people appreciated that. Afterwards I followed two other sessions: Tony Jedlinski talked about portable themes and templates and how he made such an application. And Raj Mattamal was talking about security. I already saw that presentation before (at ODTUG), so I already know a lot of it. But Raj is enjoyable to listen to and nice to look at. After the keynote, John and I went to the Welcome reception. We had some food and drinks and there was a nice picture taken of us. I'm sure John will put that picture on his blog, so I'll only show you a dancer at the event. There was a band playing music such as a song I really like "Ice Ice Baby" from Vanilla Ice. We didn't stay that long as we were both tired... so time for bed now! Like planned the day before, Saturday was a "relaxing" day. I had quite a good sleep. I only woke up at 1am, 4am to finally rise up at 7am. Not bad if you know, literally, for me day became night and night became day (9h difference with Belgium). After having a nice (cooked) breakfast in a typical American pub, John and I went for a walk. We went to the Apple store and tried the iphone... I've an HTC, which I really like, but I must admit the iphone is really nice too! The only feature I miss on it is a GPS receiver. Before noon the sun was still shining, but in the afternoon it started to rain. Not great, but some people said the rest of the week will be better. Let's hope! When registering you get some goodies like an umbrella (useful on that day! ), a bag and some other things. This year Oracle is going "green", which means you have the choice of getting the agenda on an usb key (preferred) or on recycled paper. I also got a new Alumni jacket, which you see on the picture. When I was coming back from dinner, I popped against Carl Backstrom, who was just registering in the King George hotel. We went for a "quick" drink, although quick is different for people coming from Las Vegas ;-) It's always fun to talk to Carl. He has some great stories. It was the perfect thing to end Saturday evening.